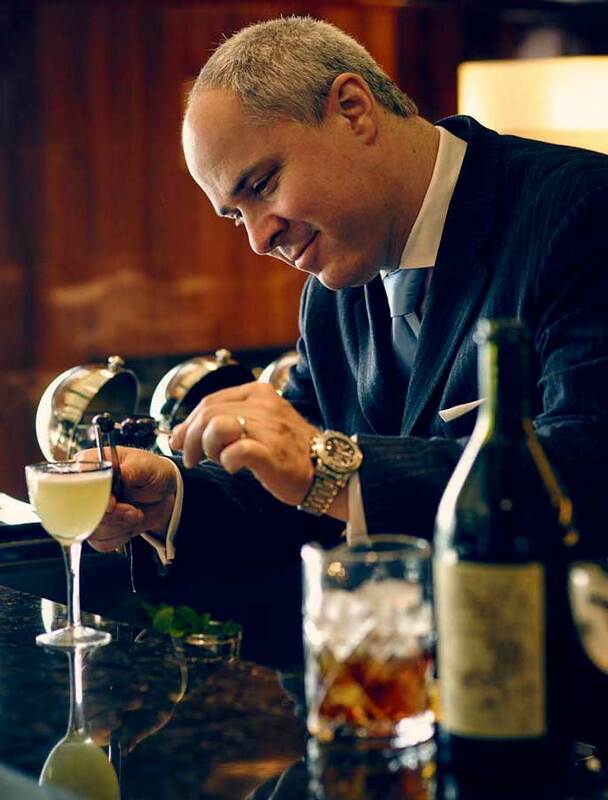 World renowned mixologist, spirits historian, industry influencer and cocktail book author Brian Van Flandern has been a professional bartender in New York City for over 25 years. Brian was named America’s Top Mixologist by The Food Network as well as one of the top ten bartenders and mixologists in the world. From 2004-2007 Brian helped open Chef Thomas Keller’s Michelin three-star restaurant Per Se as the head mixologist. Applying Chef Keller’s philosophy of flavor profiling to cocktails has earned Brian international recognition as one of the world’s preeminent cocktail artisans and spirit authorities. Some of Brian’s television appearances include a featured segment on Spike TV’s “Bar Rescue”, “The Barefoot Contessa” on The Food Network, CBS’s “The Early Show” and “Foodography” on the Cooking Channel, “The Wall Street Journal Live” and “Market Makers” on the Bloomberg Channel. The Wall Street Journal and Food Arts Magazine have written feature articles on Brian Van Flandern’s innovative and unique recipes as well as his meticulous attention to detail. In 2008, Brian founded Creative Cocktail Consultants, a global beverage consulting firm dedicated to spirits education, innovating cutting edge cocktail lists and training professional bartenders in the art of mixology, comprehensive spirits education and Michelin three-star hospitality dinning and beverage standards. He has designed extensive cocktail programs for famous chefs such as Thomas Keller and Geoffrey Zakarian – his unique recipes can be found in the finest restaurants, resorts and cruise lines in over forty countries worldwide, as well as in four award-winning books. Brian’s fifth book, Whiskey Cocktails, is set to be released in the fall.